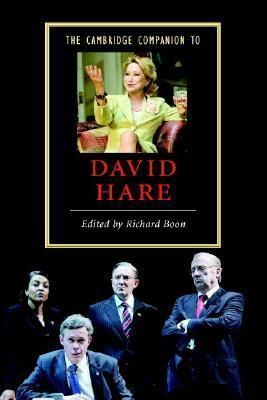 David Hare is one of the most important playwrights to have emerged in the UK in the last forty years. This volume examines his stage plays, television plays and cinematic films, and is the first book of its kind to offer such comprehensive and up-to-date critical treatment. Contributions from leading academics in the study of modern British theatre sit alongside those from practitioners who have worked closely with Hare throughout his career, including former Director of the National Theatre Sir Richard Eyre. Uniquely, the volume also includes a chapter on Hare's work as journalist and public speaker; a personal memoir by Tony Bicat, co-founder with Hare of the enormously influential Portable Theatre; and an interview with Hare himself in which he offers a personal retrospective of his career as a film maker which is his fullest and clearest account of that work to date."